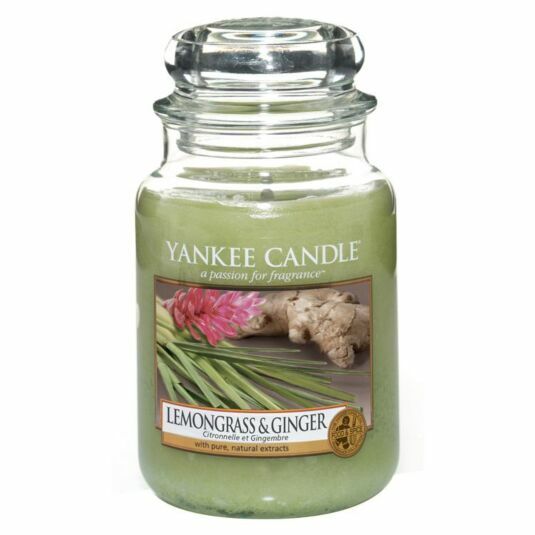 Create an invigorating atmosphere with this intoxicating exotic Lemon Grass and Ginger Classic Large Jar from Yankee Candle, part of the My Serenity range of fragrances. Adding top notes of lemon, ginger and lemongrass with a delicate base note of amber, this fragrance will awaken the senses, leaving any room smelling refreshed and fruity. This large classic jar candle has a burn time between 110-150 hours and reflects a refreshing sense of style that’s always at home, be it in the bedroom, the bathroom, the living room, or anywhere else you see fit. A fabulous gift for a friend or a treat for yourself.